King Henry: Born and raised in 1986 at Miami Metro Zoo. At age 3 Henry went to another zoo for use in their bird show. When he began showing agressive behavior he was offered to us and we have done our best to minimize his self-destructive behavior while keeping him near other condors for socialization. Henry does not appear to be interested in females, possibly because of his original hand raising and hard imprinting. It is for these reasons that we advocate against hand raising, bare handed feeding, and frequent holding of baby condors. Queen Victoria: Born at Buffalo Zoo in 1994, Vicki came to us at just a few days old. 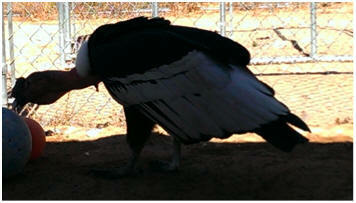 Being able to raise a condor without bare hands and around other condors makes a huge difference. 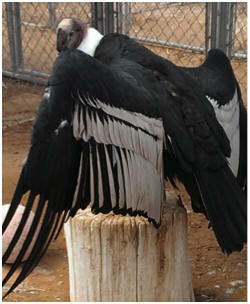 Vicki is both a great ambassador for her species and a well socialized condor among her own kind. 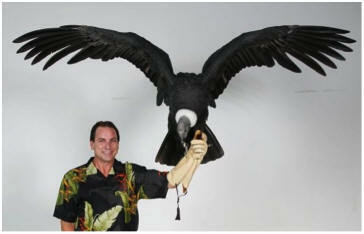 She has been an amazing presentation bird, appearing in many educational shows and even on The Tonight Show with Jay Leno. She will eventually retire to our breeding program along with her new partner who arrived summer 2013. Queen Elizabeth: Born at Buffalo Zoo in 1991. Liz came to us in 2000 from a private party who was no longer using the bird. 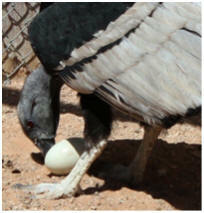 Until she arrived at our facility, Liz had never seen another condor and it has been a slow road to get her natural instincts revived. Finally in 2011 courtship and breeding behaviors began to appear and hopefully Liz will soon be providing baby Andeans for release to the wild. 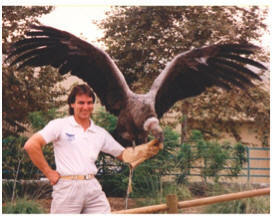 King Edward was originally born in 1991 at the USFWS Patuxent Wildlife Research Center in Patuxent, Maryland. He is our smallest male at only 26 pounds. 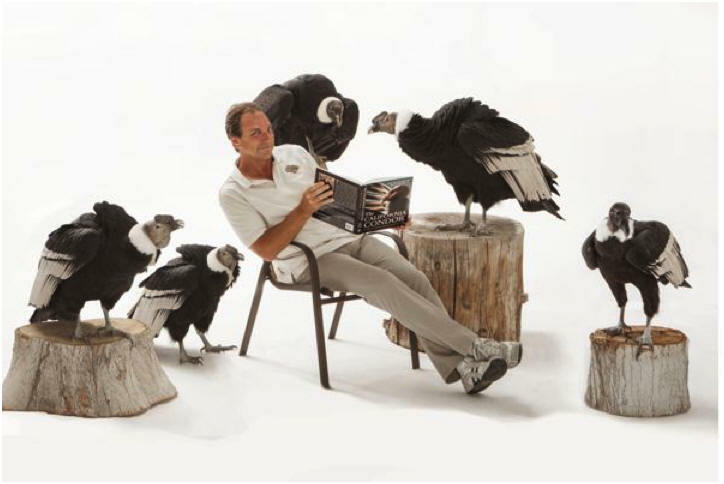 Ed spent most of his life in the northeast where he helped to educate school groups about condors and South America in general. In 2013 he arrived at our facility to be paired up for future breeding. In the meantime, Ed still enjoys spreading his wings for onlookers and will be joining some of our educational programs while we wait for his bond with the female to grow.